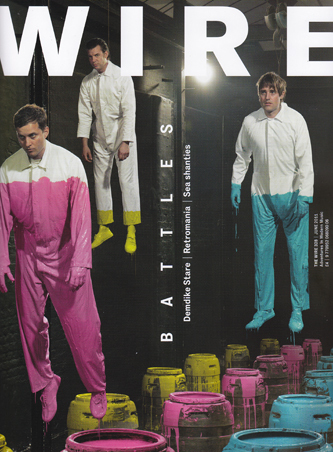 June's edition features cover stars, Battles dipped in paint and interviewed. Demdike Stare are challenged to the Invisible Jukebox, Simon Reynolds reflects on nostalgia in the digital revolution, Joe Muggs chews the fat with Scratcha DVA, and you'll find further reading on Sea shanties, Hong Kong's musical underground, Matana Roberts, Caroline Bergvall, and all the usual reviews, news and listings. Always recommended - but especially so for the Demdike!